Our 100% Natural Insect Repellent was created by us with your health in mind! We have been using this blend successfully with our family to naturally keep the bugs away, and we are finally sharing it with you! It is essential to be careful what you put on your skin, as any harmful chemicals are absorbed through the skin and into your body. There are no harmful chemicals or dyes in our formula. It is also DEET-free. You can rest assured it is safe and effective for the entire family. Our spray also has a pleasant scent! Click on the link below for more information, ingredients, and usage information. 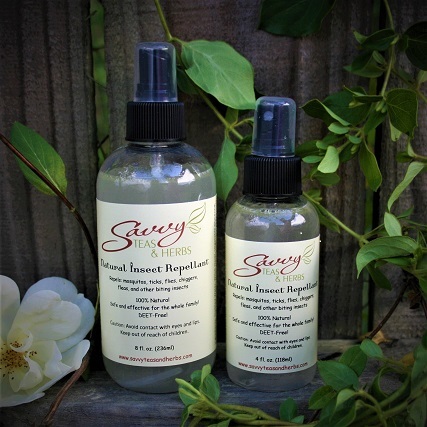 Natural Insect Repellent Spray 4 oz. or 8 oz.